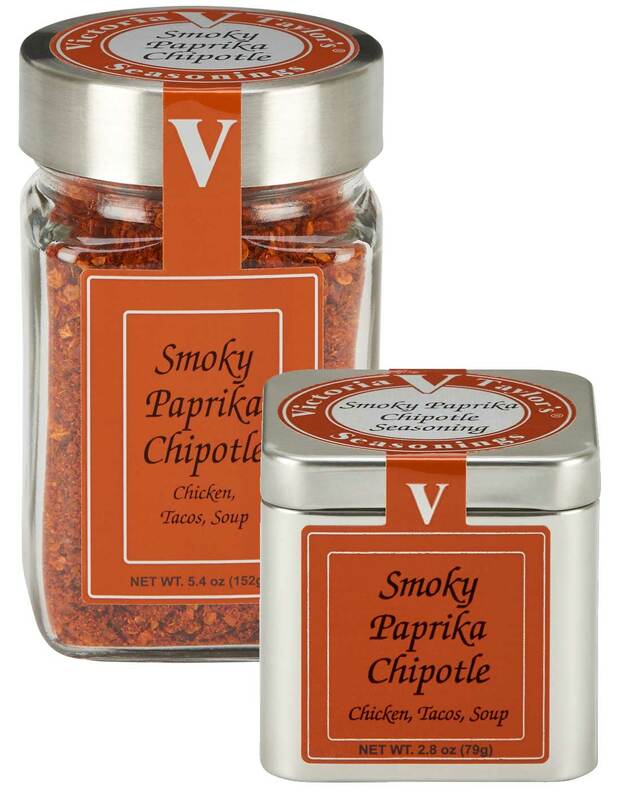 Our Smoky Paprika Chipotle Seasoning offers a smoky mesquite flavor perfect for your favorite taco and chili recipes. Try this blend with chicken, pork, or shrimp, or use it to add a unique twist to fruit salsa or cheese fondue. Mixed spices (chili pepper [including chipotle 10%], cumin, oregano), garlic and onion, paprika 16%, sea salt, demerara sugar, natural mesquite smoke flavor, and silicon dioxide added to prevent caking. I have only recently discovered your seasoning blends. All are terrific. The Smoky Paprika Chipolte I could eat with a spoon and I put Shallots on everything except cereal. Keep up the good work. Excellent quality, great flavor. I’ve purchased most of your blends from my local [retailer]. But I have to tell you, you’ve out-done yourselves with the Smoky Paprika Chipotle blend. I’ve used it in chili, on baked fish, shrimp, etc., and it’s awesome. Keep up the great work!!!! I’ve only tried two of your spice blends (that is all that is offered at my grocer), and I have to say they are my favorite spices and I use them all the time. I have the Smokey Paprika Chipotle and the Toasted Sesame Ginger. Thank you for producing such wonderful products. I can’t wait to try some of your other blends.